Dr. Ted Acworth is a modern champion of an ancient craft. As the founder of Artaic — an award-winning manufacturing and design company that utilizes American robotic production to modernize the creation of mosaics for use in residences, commercial properties, institutions, hospitality settings, and for public art installations — Acworth has spent his decades-long career advancing and commercializing innovative technology, as well as managing research and development for companies, universities, and governments spanning the globe. Since launching the brand in 2007, Acworth has worked with many household names around the world such as Harvard University, Walt Disney World, Dow Jones, Hilton Hotels + Resorts, and the Philadelphia International Airport. Acworth takes a hands-on approach to Artaic’s ever-expanding internal structure, overseeing Artaic’s Research and Development division, as well as the Software and Hardware Engineering and Production sectors of the business. He also works closely with teams across sales and distribution, ensuring the relationships he establishes on the front lines of industry events are reinforced by the expert customer service he guarantees on the trade show floor. In addition to Acworth’s dedication to the revitalization of the ancient art of mosaics, he and the Artaic team are actively involved in the local Boston community. For the last few years, Artaic has collaborated with Artists for Humanity (AFH) — a locally-based non-profit that uses art and design to bridge economic, racial, and social divides — to transform the original artworks of urban youth members into unique tile creations. Proceeds from the sale of each design in Artaic’s URBN collection provides support for the AFH program. Outside of his community outreach work with Artaic, Dr. Acworth has served on the Massachusetts Governor’s Science, Technology, Engineering, and Math (STEM) Advisory Council, focusing on 5th-8th grade education. 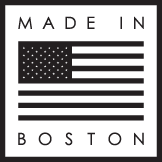 He was also a committee co-chair of the Massachusetts Governor’s Advanced Manufacturing Collaborative, representing small innovative manufacturers in the state. 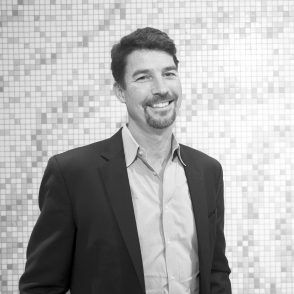 Further, he is currently a member of the MassTLC Robotics Cluster Advisory Board, and was the founding chairman director of the non-profit Design Museum Boston. Prior to founding the company, Dr. Acworth led an esteemed career as an entrepreneur, educator, scientist, and engineer. Dr. Acworth holds an MBA in Management of Technology from the Massachusetts Institute of Technology, where he was a Sloan Fellow in Innovation and Global Leadership. Additionally, he holds a PhD in Mechanical Engineering from Stanford University, and an M.S. and B.S. from Columbia University.